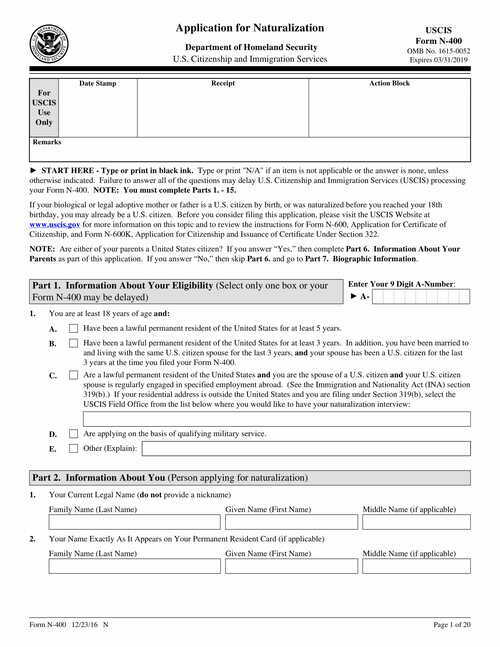 Apparently, those people who submitted their applications in order to become U.S. citizens through naturalization are concerned about the time required for earning the status and steps they need to take following the submission. While there are some general procedures for all the applicants, the actual timeframe of processing their papers depends on such aspects as the USCIS workload and office where the documents were submitted, as well as on the compliance with the agency requirements for filing the application. Here, the common scheme and approximate timeframe is outlined, though there can be variations for certain scenarios. Following the submission of documents for naturalization, an applicant is expected to get feedback from U.S. Citizenship and Immigration Services, confirming that the application was accepted and the processing started. As a rule, the notice (Form I-797C) is mailed within a couple of weeks on the date of filing, but it will confirm the applicant status only in case all the documents were duly prepared. If not, the applicant will be mailed a rejection letter or Request for Evidence, meaning that there are more documents to be collected and forwarded to USCIS. Obviously, both options tend to drag the case, and therefore it’s crucial to fulfill all the requirements for filing the form in order to avoid delays. Note: Don’t miss to save your receipt number given by USCIS in the letter, as it is used for checking applicants’ case status via USCIS website. If there is no notice within several weeks after the submission, don’t hesitate to make an inquiry via the corresponding section of the official website. With almost 9% of applications for naturalization rejected, improper filing of documents is a big mistake, leading not only to frustrating delays with earning the desired citizenship, but also to possible issues with applicant’s current status. That’s why we offer a smart guide for submitting Form N-400 papers, which helps prevent the loss of time and ensures that your papers will be accepted by U.S. Citizenship and Immigration Services. This letter informs an applicant where and when his/her biometrics appointment will take place. Usually, it is conducted in the closest Application Support Center, where applicant’s fingerprints are taken for further background investigation. This is a common requirement to all the applicants seeking for American citizenship, so there is no need to worry about the procedure. Note: Applicants over 75 years are not required to pay a fee for this service, though they have to come for fingerprinting anyway. If you didn’t get the notification from USCIS, make sure to send an inquiry on the agency website. During the biometrics screening (or appointment), which lasts no longer than half an hour, the applicants are photographed and fingerprinted. Also, they are required to provide their signatures. To enter an assigned USCIS center, the applicants need to have a government-issued ID with a photo, for example a green card, military ID, DL or state-issued identification card, as well as a national passport or ID. Check the list of items to be taken for the screening, specified in USCIS notification. Note: Consider addressing an immigration attorney, if there is any chance you do have criminal records. The attorney can check it in advance and give appropriate recommendations. Otherwise you might not be entitled to earn the desired status. The next appointment to be received from USCIS after you are finished with biometrics is an interview. It is very important to appear at the interview as scheduled – while applicants are allowed to reschedule their meetings, the extension of date will delay the process for at least a couple of months. So, do your best to come for the interview as initially appointed, and make sure you get properly prepared for it. Note: In case of relocation after submitting the application, be sure to inform USCIS about your new address within ten days following the move. Applicants can do this by forwarding Form AR-11 to the agency and by calling at 1-800-375-5283. When interviewed, applicants are asked about facts given in their applications for naturalization in order to confirm their validity and accuracy. Besides, this communication serves to prove that the applicants have a sufficient level of proficiency in English, also checked through reading and writing tasks. Then, the applicants undergo a history and civics exam, followed by questions originated from the background investigation, if its result raises some issues (i.e. an applicant has tax issues or previous arrests). When the interview is over, the applicants get Form N-652 containing the results. In some scenarios, the applicants get approved at the end of interview, but this is only a preliminarily approval and thus the applicants should arm themselves with patience until a massage from USCIS arrives about their oath ceremony scheduled. Only upon taking the oath the applicants are considered full-fledged American citizens. In other scenarios, a decision cannot be rendered right by the end of interview. Moreover, there can be further application reviewing required, so USCIS can continue the case, including by asking for extra papers to be submitted or even by scheduling a new interview. You can get deeper insights into common reasons for continuation of naturalization cases here. getting denial due to their ineligibility established within proceedings in the applications. Note: If the case is continued, it will take more time to earn the desired citizenship. Thus, it’s vital to properly collect your evidences and to get well prepared for the interview. Be sure to avail of free online sources assisting in the preparation for the exams and interview. If an applicant succeeded in passing the interview, a Notice of Naturalization Oath Ceremony will be sent to him/her, specifying the date and site for the occasion. Besides, Form N-445 contains a list of documents to be taken to the ceremony, as well as a list of questions to be answered and forwarded to USCIS at the meeting. Note: If there is a strong reason preventing an applicant from coming to the ceremony, the applicant must to immediately return the notice to USCIS, stating the reason and asking for another date scheduled for him/her. Be aware that if the applicant fails to attend the ceremony for the second time, his/her application can be denied. Applicants for naturalization can obtain their certificates only after taking their Oath of Allegiance at the ceremony, held either by USCIS (in most cases) or by a judge (applicable to certain districts). Upon the administrative or judicial ceremony, applicants’ green cards are withdrawn, while the certificates of naturalization are delivered. Note: Make certain that all the information specified in your certificate is correct and inform USCIS about any mistakes prior to leaving the site. How long does it take to earn a certificate for naturalization? In the majority of cases, the process lasts from 8 to 12 months of the date the application was forwarded to U.S. Citizenship and Immigration Services. Still, the waiting time can be both shorter and longer, so do keep track of your case progress by using USCIS online tools like checking case status/processing times and by making an inquiry whenever you believe there are delays in the processing.